It’s home show season! I’ve been doing lots of traveling and networking with all sorts of people in the last few weeks. As you can imagine, I’ve been asked A LOT of questions, too! The one I get the most, though, is “Do you have any tips?” Of course I do! 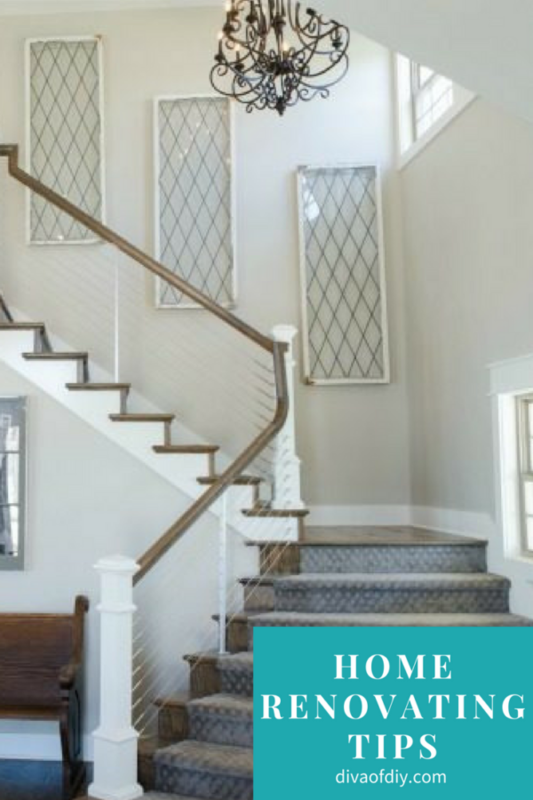 Here are some of my top home renovating tips. The biggest home renovating tip I can give you is to budget for your remodel. When it comes to home renovations, you can expect a surprise expense every single time. Regardless of whether you’re financing or paying cash, it’s important to know exactly how much you have to spend so that you don’t end up with a half-finished house. Especially if you’re remodeling an older home, giving yourself a budget with plenty of wiggle room is key. Let’s start with home renovating tips for floors and ceilings. Sometimes all they need for new life is a great cleaning. These are my most popular tips. Cabinets can be the most expensive part of a remodel or renovation. 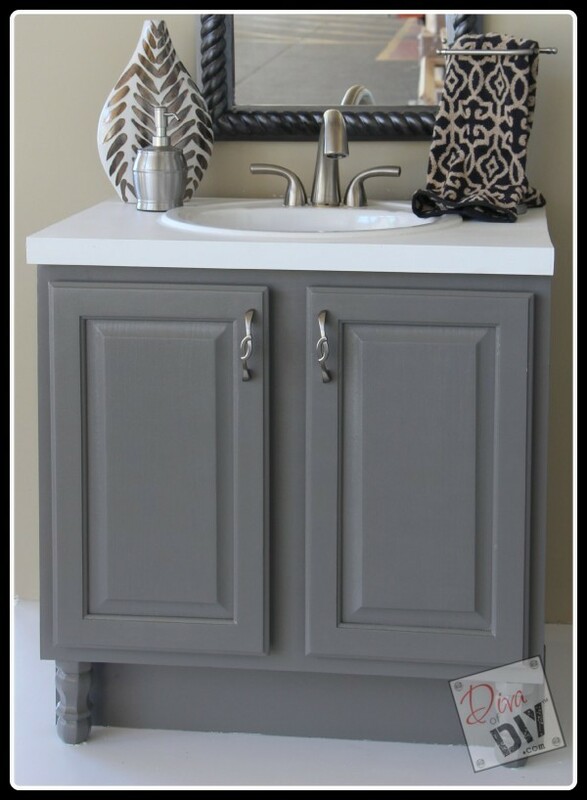 Before you automatically replace outdated or ugly cabinets, step back a second and look at them. Do you like the layout? Are they structurally sound? If so, you may be able to simply paint, stain, and update them in other ways to give them new life. If they’re rotting or don’t fit correctly, consider replacements. 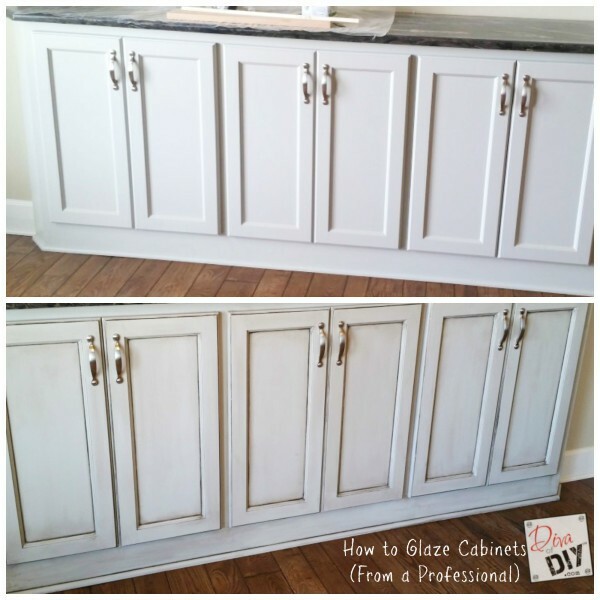 Here are a few home renovating tips for painting and updating your cabinets. If walls could talk…what would yours say? The walls of your home are the very first thing you see when you wake up and the last thing before you fall asleep. Make them count! Here are some ideas and tips for making your walls something you want to look at. Kitchens and bathrooms are the most renovated rooms in homes. Here are a few of my best home renovating tips for kitchens and bathrooms. Choosing new counter tops: Marble or Granite? Let’s not forget curb appeal! Your home’s exterior gives visitors a first impression. When remodeling your home, don’t neglect this very important part!